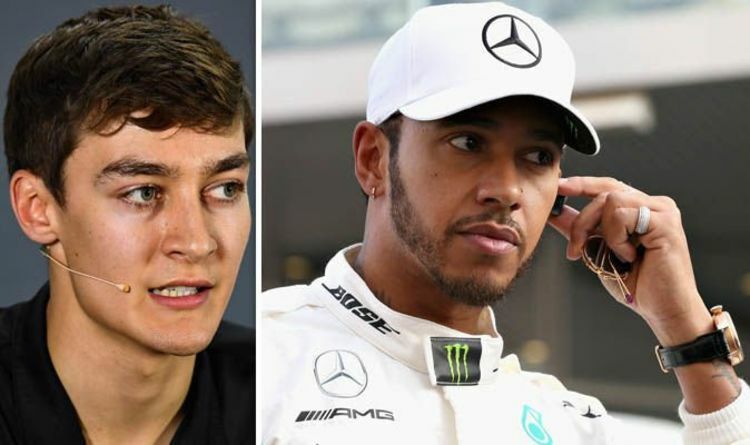 That is according to new F1 driver George Russell, who says the five-time champion relies on more than just natural talent to secure success. Hamilton is revered as one of the greatest racers of all time having gone level with the legendary Juan Manuel Fangio on five F1 titles last year. And he will be desperate to secure another World Drivers’ Championship this year as he seeks to move closer to Michael Schumacher’s record of seven. Lewis Hamilton’s skill and racecraft has helped him to 73 career wins to date, but he is always keen to point to the work of the Mercedes team behind him. Williams new boy Russell, a product of the Mercedes driver programme, has now lifted the lid on what Hamilton is really like behind the scenes. And it seems the 34-year-old’s off-track persona aligns with that which the public see as he’s clearly impressed Russell. “The help I’ve had from Mercedes and Lewis is more listening and learning to be honest,” Russell said. “I tried to use my ears more than my mouth when I was in that environment, and there was a huge amount I learned. Just seeing how he did it. “In Formula 1 you can’t just rely on your natural talent or your speed and that proved to me that Lewis just doesn’t rely on that, he goes out there to try to work on every single aspect and really try to build that team around him. Hamilton will line up alongside Valtteri Bottas at Mercedes once again this season. The Brit’s former team-mate Nico Rosberg believes Bottas can cause a few problems for Hamilton. “Valtteri is a lot better than he’s been able to show recently,” 2016 F1 champion Rosberg said. NFL mock draft 2019: Eagles 7-round projection | Is Memphis’ Darrell Henderson the answer at running back?